and mom is a cat person, so she gets this. Wow, those are impressive Easter creations! Your family is really blessed, Chuck! What did you get? A chocolate cowboy hat, perchance? Thanks for posting about Holy Saturday. On Good Friday, I started to wonder: why is it that they call it Good Friday? Shouldn't it be called Bad Friday, or Black Friday or something like that? Because that's when Christ was crucified. 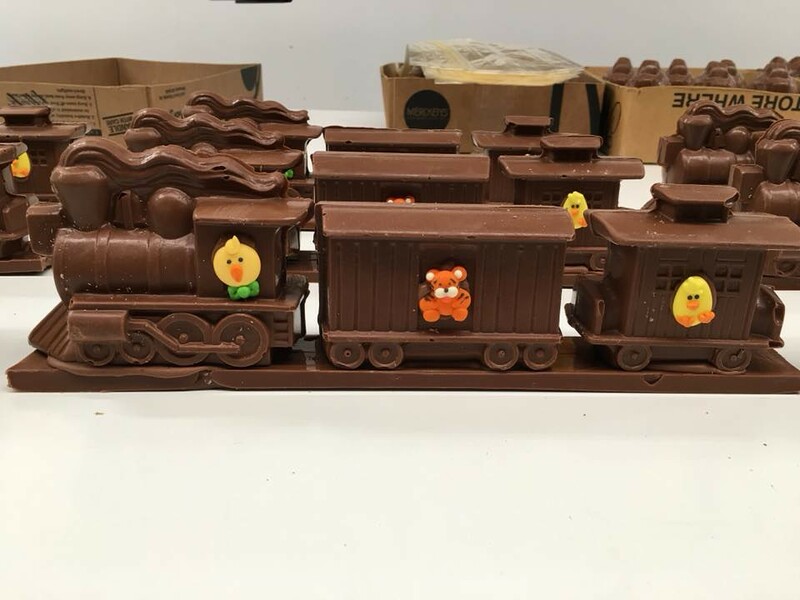 Here is what my dad is getting from me for Easter, because he spent his life working on the railroad. We call it Long Friday. Some sources say it derives from God Friday others say it is because Christ is suppose to have died for our sins. NO chocolate cowboy hat for me! LOL. I did get some of the fruit slice candy that I enjoy so much, and some peanut butter cups. If I'm remembering my Catholic teachings from back in the day, we were told it's called "Good" Friday because the gates of Heaven were locked with the original sin, Adam and Eve eating the apple. Jesus' death unlocked the gates of Heaven, allowing people to enter. Because rabbits are a pest in both Australia and NZ. Some money from sales goes to saving the endangered bilby. I gave my brother-in-law a chocolate wombat as they are bigger and he is a chocoholic. 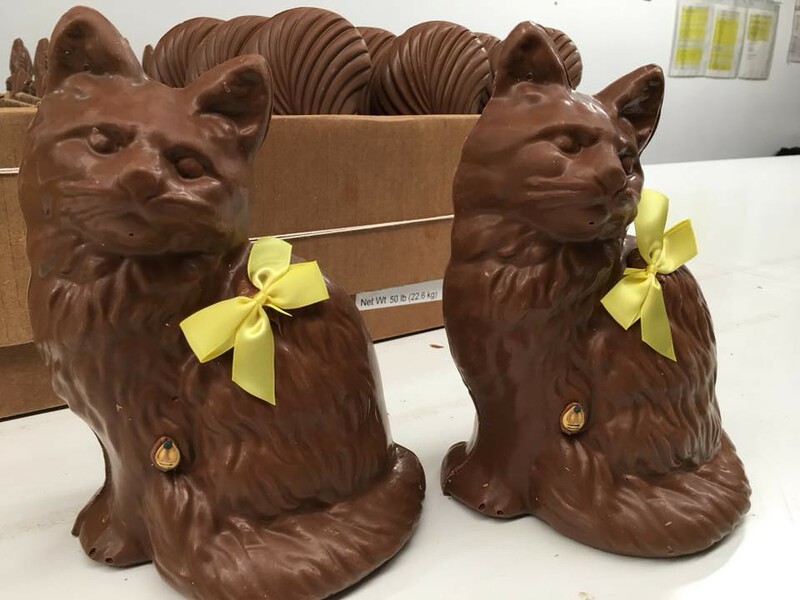 Chocolate for a good cause! I like that!